System: Draw your system's boundaries using a Rectangle that contains use cases. Place actors outside the System's Boundaries. Use Case: Draw use cases using Ovals. Label with ovals with verbs that represent the system's Functions. Actors: Actors are the Users of a system. When one system is the actor of Another System, label the actor system with the actor Stereotype. Urgenthomework.com provide best Online help. 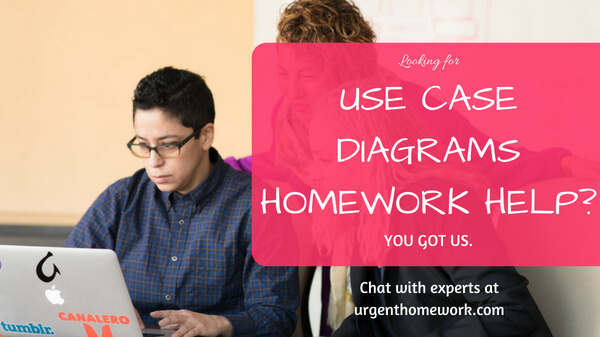 Homework Help will provide to the students with detailed to their Use Case Diagrams Assignments, Test and Project work problems.